Police secure the site of a shooting in Utrecht, Netherlands, March 18, 2019. 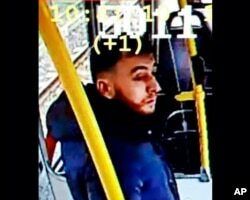 This image made available on March 18, 2019 from the Twitter page of Police Utrecht shows an image of 37-year-old Gokmen Tanis, who police are looking for in connection with a shooting incident on a tram. 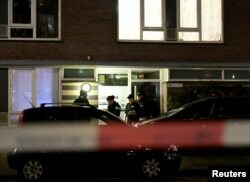 Police officers are seen in front the building where the main suspect of the shooting has been arrested in Utrecht, Netherlands, March 18, 2019.